Choosing the right florist can be a difficult task. You want to make sure the florist handling all your wedding flowers understands your vision. It will help to have a good idea of what you want your wedding design to be. Do you want to go tradition, classic, modern, or a specific theme? Once you have this decided, look online for inspiration photos and colors. If you have dress or tux swatches bring them along to your floral design appointments. Don’t forget, you can meet with multiple florists before you decide who to go with. Keep in mind that not all flower shops participate in the wedding industry. Some shops may strictly do retail arrangements and focus on holidays. Then you have floral designers who are more likely to do weddings and special events. These shops are made up of creative individuals who will work with you to understand your vision and help bring it to life. You are not just buying flowers, you are receiving floral event design and a set-up/delivery service. You should decide how important your flowers are to you for your wedding in order to budget correctly. Do some research and ask for suggestions from friends or someone who has recently planned a wedding. Sometimes websites like Wedding Wire and The Knot can point you in the right direction with reviews and prices ranges for certain shops. Know that certain flowers cost more than others, being aware of this will keep you from feeling blindsided by the pricing of small bridal bouquet of roses. Pick a few Florists that you think you might click with and make some appointments! The sooner you book the date the better. When you attend your appointments be sure to bring your colors, and photos of any ideas or things that you like. They will most likely have tons of photos of their own work for you to look through as well. 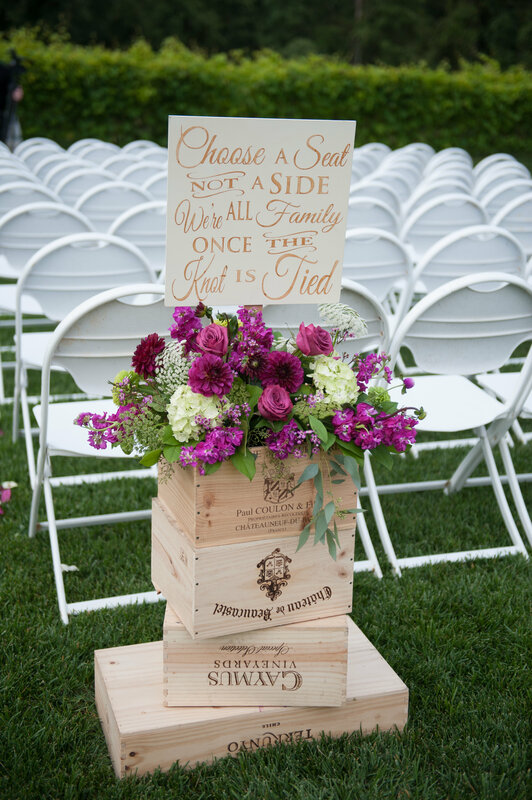 Ask about rental items and what flowers will be in season at the time of your wedding. Be sure to explain your vision for your wedding in detail. Ask questions and give/get as many details as you can. If you feel confident in the designer and like what he or she is saying then you may have found your perfect floral fit! It helps if the florist comes recommended by your venue. Chances are they have worked at your venue before and know the ins and outs. It’s always good to have a vendor that knows your venue and the people working there well. This goes for any vendor – venue relationship.